the most important texts in the theosophical literature of all time. 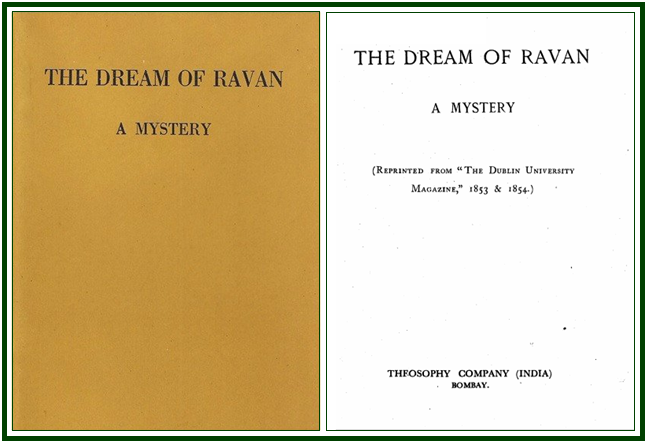 On 6 February 2012 the editors of the present online edition of “The Dream of Ravan” received a message from Theosophy Company (India), in Mumbai city, giving them permission to digitalize in PDF and to publish online, the First Indian Reprint 1974, of “The Dream of Ravan”, which carries introduction by Sophia Wadia. The Indian edition of 1974 has 248 pages. “The Dream of Ravan” was written in the nineteenth century by a great Eastern sage. It is considered by some as being among the most important works in the esoteric literature of all time.